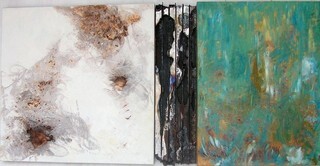 Adamar Fine Arts is a 22 year old gallery located in the heart of the Miami Design Disrtict in the 4141 Design Building. We represent contemporary paintings, sculpture, photographs and installations by prominent local and international artists. Among others we represent the works of Picasso, Chagall, Dine, Rauschenberg, Borower,Jamali, Morris, Rietmeyer, Tolla, Rose, Niso and Velez.